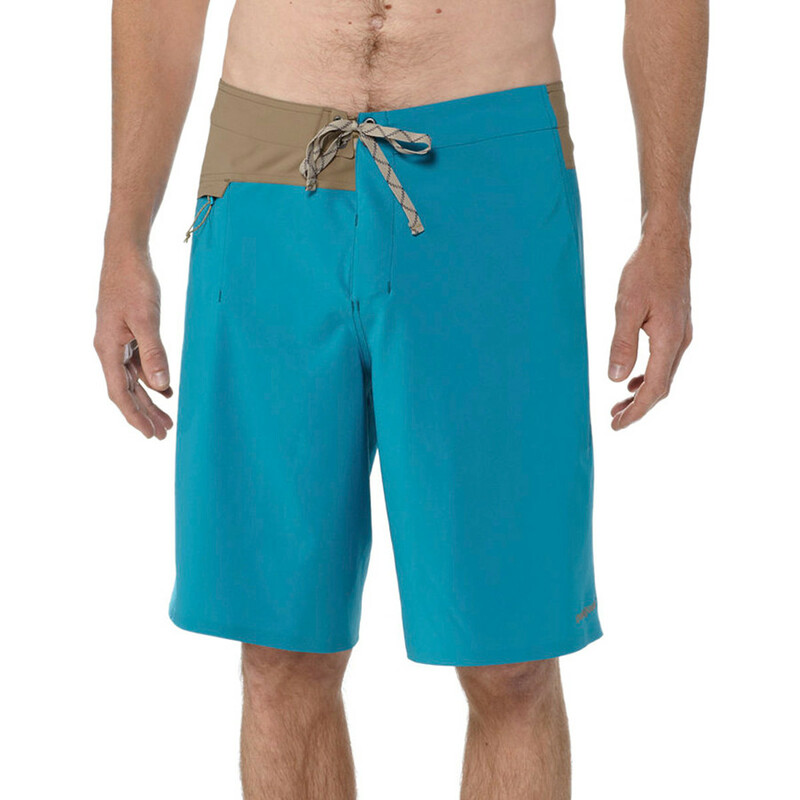 With an inseam-free design, the stripped-down, travel-savvy Light & Variable Board Shorts keep you free of chafe while you thread through barrels or trim down the line. 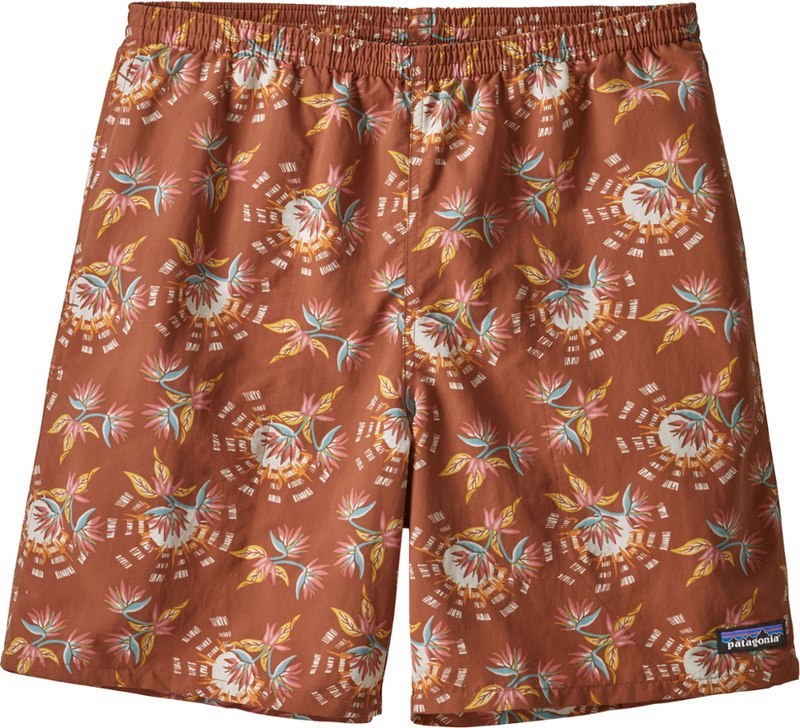 Something like Speedos but without all the bright-white upper thigh, their light weight and functional simplicity make them a longtime Patagonia favorite. 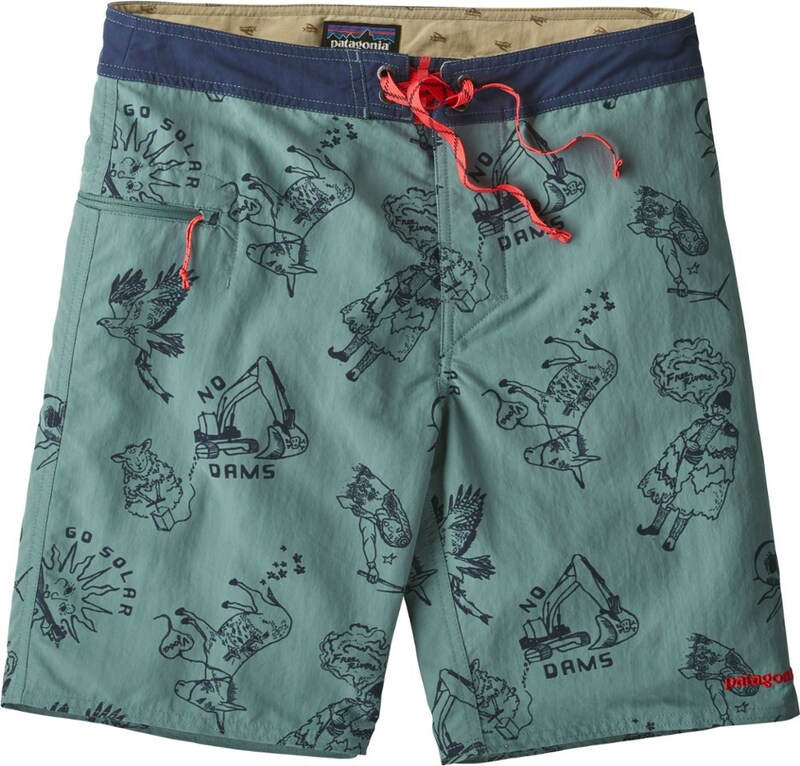 Now made from superlight, fast-drying 100% recycled polyester with 2-way mechanical stretch, a DWR (durable water repellent) finish and 50+ UPF sun protection, the hydrodynamic design has a trim silhouette and sleek low-drag waistband. Other features include a flat-lying fly with ladderlock drawstring closure, and a pared-down back pocket that's self-draining, has an internal key loop and doubles as a compact stuff pouch. The pocket has a corrosion-proof plastic zipper, and the side seams have small notches for increased freedom of motion. 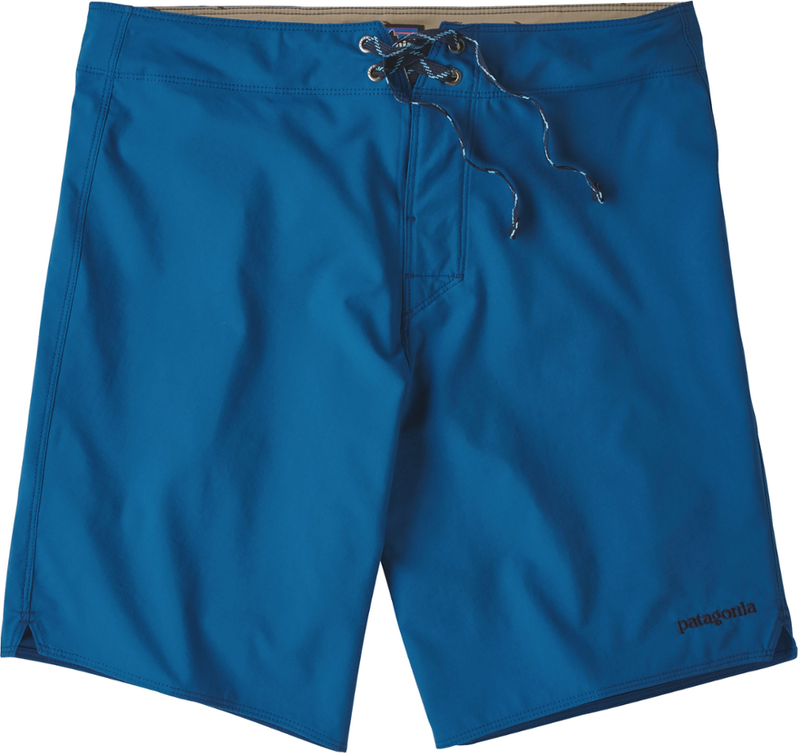 Lightweight and incredibly durable, the men's Patagonia Light & Variable(TM) board shorts are more than ready to tackle your next water adventure with confidence. 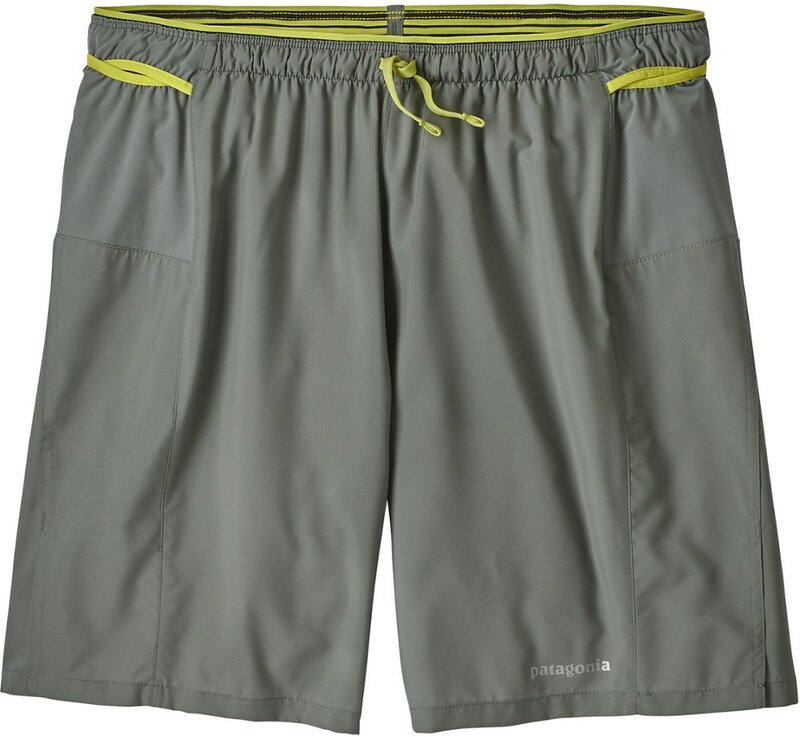 The Patagonia Men's Light & Variable 18in Board Short sports a lightweight, no-nonsense design that optimizes comfort and flexibility for shoreline adventures and beach-going pursuits. Inseam-free construction eliminates chafing and irritation, complete with a notched outseam for freedom of movement in the surf. 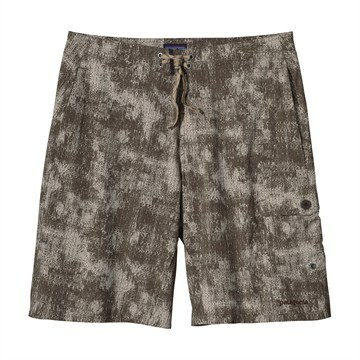 Recycled polyester fabric is both lightweight and comfortable in scorching temperatures and sticky tropical environments. The DWR finish rapidly sheds moisture, ensuring you're not a dripping-wet mess after leaving the water. Also, there's a zippered pocket that keeps your essentials secure while you're playing in the sun and surf.